While researching my files for a series of posts on J.A. Roberts, I came across this in his father’s file. In 1838 John R. Roberts and his younger brother Newton bought a tract of land on Rutherford Creek in Williamson County, Tennessee. W.O. Smithson and Paschal Giles serve as the the two witnesses to this transaction. Giles was the brother of John R. Roberts’ wife Rebecca Anne Giles. Smithson was the brother of John R.’s first wife Sarah B. Smithson (She died perhaps giving birth to their second child). William Overton Smithson was born, as was John R. in Lunenburg County, Virginia. Now, here’s the interesting connection. (I know, you thought I had already shared it.) W.O. Smithson had a son named W.O. Smithson. 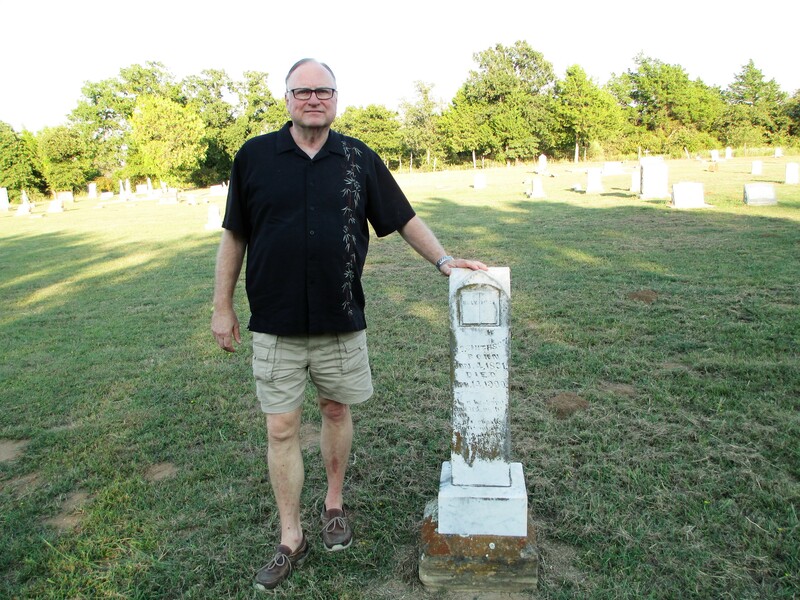 He was born in Williamson County in 1831 and died in Montague County, Texas in 1900. The surprise: He married Mary Jane Nichols, the sister of my 2 x great-grandfather Frederick Shaffer Nichols. Both were born in Williamson County. And this reminder from a previous post, My father’s father Gus Roberts, grandson of John R. Roberts, married the granddaughter of Frederick S. Nichols and Sarah Elizabeth Neely. Her name was Emma Lee Ingram and they had to meet in a Children’s Home in Fort Worth to make it happen! I’m certain my grandparents Gus and Emma knew nothing of these earlier relationships in Lunenburg, Williamson or Montague Counties, but now we do!